The Centre is pleased to announce a call for applications for its Internship Programme. Internships provide the opportunity for members of civil society organisations, activists, experts and journalists to spend one to two months at a relevant host organisation in Central and Eastern Europe, the Baltics, Balkans, and Central Asia. Who can apply for the Internship Programme? We accept internship applications from citizens of the following countries: Armenia, Azerbaijan, Belarus, Georgia, Kyrgyzstan, Kazakhstan, Moldova, Russia, Tajikistan, Turkmenistan, Ukraine and Uzbekistan. Host organisations can be from Armenia, Azerbaijan, Belarus, Georgia, Kyrgyzstan, Kazakhstan, Moldova, Russia, Tajikistan, Turkmenistan, Ukraine and Uzbekistan as well as countries from Central Europe and the Baltics (Czech Republic, Estonia, Hungary, Germany, Latvia, Lithuania, Poland and Slovakia) and the Balkans (Bosnia and Herzegovina, Croatia, Kosovo, Macedonia, Montenegro, Serbia, Slovenia). The Centre is accepting applications for the period of either September – November 2018 or February – April 2019. The internship programme lasts from one to two months within these periods. Applicants are entitled to submit grant requests for €3,000 – €4,000 to support their internship. A portion of the grant (€1,000) will go to the host organisation. The remaining amount, which varies depending on the length and place of the internship, will cover travel, accommodation, food, local transportation, and telecommunication costs. Applicants are requested to propose a budget for their internship in the application form. Proposed budgets are subject to review and agreement between the Prague Civil Society Centre, the host organisation and the intern. Internships allow the Centre to invest in capacity of civic organisations, movements or networks in Eastern Europe and Central Asia and to develop cross-country and regional collaboration between organisations and initiatives. Interns will be able to use the time and funding to gain new skills or knowledge from the host organisation, develop relations between civil organisations in different countries, conduct research, write a report or paper, and expand their networks of contacts. All interns are expected to produce a concrete output (article, paper, comparative study, policy recommendation, seminar or training curriculum, infographic or some other type of presentation), agreed to in advance, and which can be distributed electronically. Internship projects should aim to reflect and elaborate upon the work that the interns are doing in their home countries in order to improve the effectiveness of their work upon return. Applicants are free to propose any research subject, skills-development or project idea they want to undertake or develop during their internship. However, PCSC does have some thematic priorities in which it is interested. Host organisations should have a proven track-record of expertise and know-how in the field that is requested by the intern. 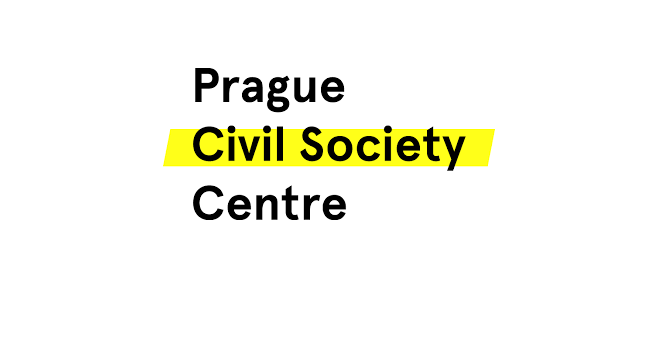 To qualify for the programme, interested individuals should contact potential host organisations themselves to arrange the terms of the internship before applying to the Prague Civil Society Centre. We strongly recommend to applicants and host organization to have a proper discussion about the purpose and plan of the internship in advance, so that both sides are sure that their expectations, expertise and needs match. If you are an organisation who would like to find out more about the programme, you have been contacted by a potential applicant or you would like help finding an intern, please get in touch with the Centre. Upon receipt of the applications, the Centre will undertake a selection process with interviews of shortlisted candidates to discuss the applicant’s project ideas and availability. We will inform on the PCSC website when we expect to conclude selection process. If you have any questions or need additional information, please feel free to contact us at internships@praguecivilsociety.org. Proven track record of the applicant: Applicants should be affiliated with organizations that have a clear track-record of work. We do not select applicants who are not already established in their organisation, movement or network. Proven track-record of host organisation: Likewise, the host organisations should have a proven track-record of expertise and know-how in the field requested by the intern. Quality of proposed internship project: Only applicants that have clear and well thought out idea of what they want to do and achieve through the internship will be considered. This includes how the applicant can gain from the expertise and experience of the host organization, and how they can apply new knowledge and skills after returning to their home organizations. Compatibility with the Prague Civil Society Centre’s priority themes: The Centre prioritises projects that align with its priority themes as detailed here. We are still open to proposals that do not correspond to these themes. We recommend such applications stress how their project has a specific relevance for their country and how internship can contribute to the work of civil society in their country. If you have previously participated in a PCSC Fellowship or Internship Programme, you may not apply. If you have taken part in other PCSC programmes you are welcome to apply. Research projects which are purely academic in its purpose are not usually selected and applicants who are still studying and who are working on their PhD thesis and who do not have extensive history of involvement in the civil society work and engagement are not usually selected.